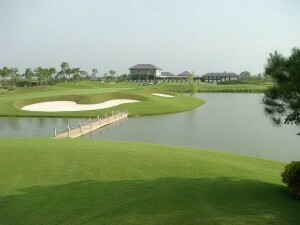 Van Tri Golf Club is the first exclusively private golf estate in Vietnam. 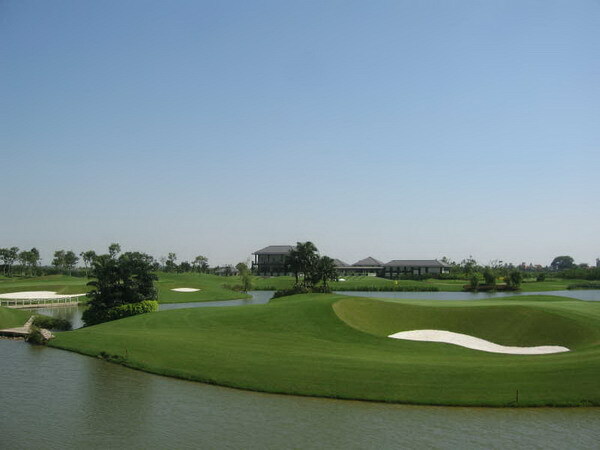 The Van Tri Golf Club is conveniently located four kilometers from the Hanoi – Noi Bai Highway and situated in a secure gated community. 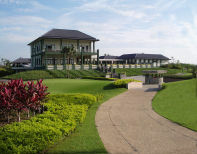 The club house amenities at this upscale Vietnam Golf Club include a main dining room serving the highest standard of International cuisine and the accompanying high standard of service that is expected of a private members' Golf Club. 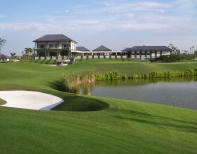 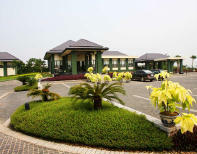 Now exclusively for Vietnam golf vacation members you can play on this beautiful private golf estate. The Golf Course is designed by architect, Peter Rousseau of P + Z Designs, this 18 hole golf course presents the traditional values and solid approach that is forever exciting and challenging to play; one that will certainly stand the test of time. 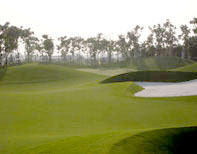 The shaping is paramount to insure everything flows from element to element without ends or beginnings. 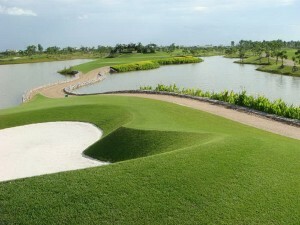 Everything ties in together to form a natural appearance. The Architect has created visual interest by finding the right balance of blending together colors, textures, heights and elements of stone, water, sand, grass and trees to provide a great variety that defines each and every individual hole. 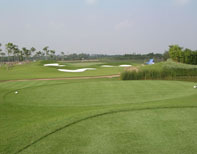 The end result is a truly great golf course in Vietnam for all levels and abilities to enjoy. 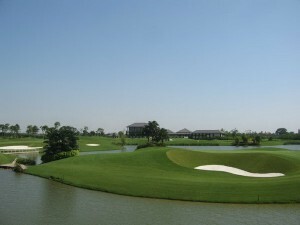 Vietnam Golf Vacation is one of just a few Vietnam Golf Tour organisers that has access to this spectacular Vietnam Golf Course.